Put some boho in your ho-ho! During the hectic holiday season give gifts that impart serenity and peace of mind. 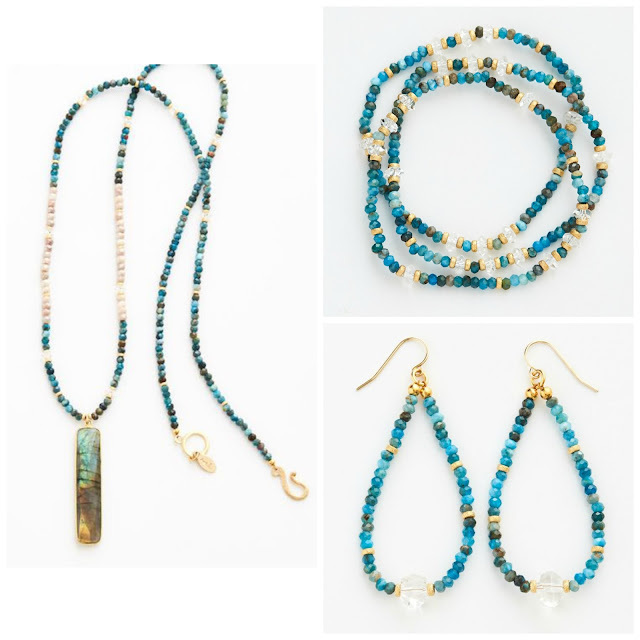 Our Beaded Apatite and Labradorite jewelry collection features tranquil hues with a bohemian flair, perfect for the relaxed fashionista on your holiday shopping list. The natural gemstones are first sourced in Uruguay from sites where emphasis is placed on fair trade and environmentally friendly mining practices. They are then designed and hand assembled into unique, one-of-a-kind works of wearable art in our artisan's Atlanta, Georgia studio. Rest assured that these placid pieces are simultaneously stunning AND sustainably sourced! Purchase our Beaded Apatite Jewelry here.